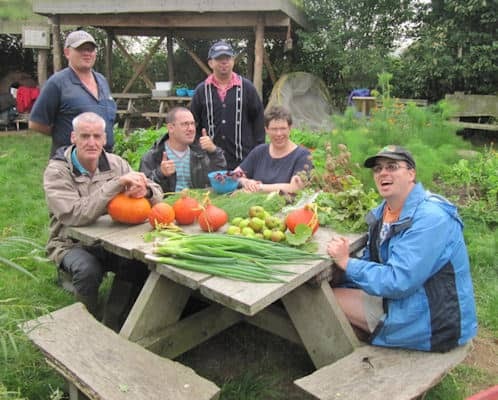 The main focus of our group is the Community Garden where we grow a wide variety of vegetables and fruit which can be taken home to use. Our own produce is cooked and eaten outside whenever possible. The food seems to taste so much better that way. 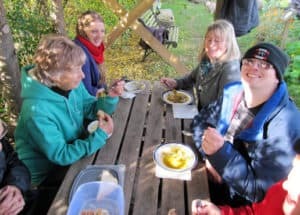 We like to light a fire and cook soups and stews using our own grown organic herbs to flavour the food. We also use our clay oven to make our own pizzas. Even the most fastidious eater enjoys the food we have grown and cooked. 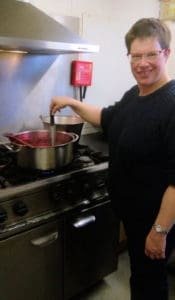 We grow lots of fruit and vegetables and if there is a surplus, we make jams, chutney or pickles. 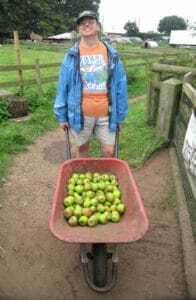 Our produce is sold in Arthur’s Farm kitchen and the profits help go back into our project. 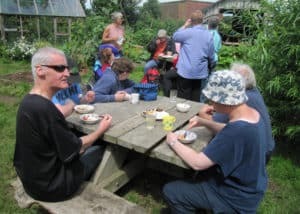 The groups also take regular walks on the farm, taking time out just to sit and enjoy the view. 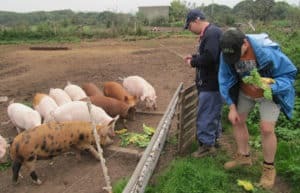 One of their favourite activities is feeding the pigs, taking them apples and other vegetation from our organic garden. 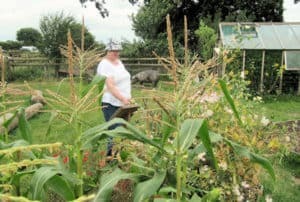 We look after the birds in the community garden feeding them with seeds and nuts. Bird feeders are placed outside Arthur’s Farm Kitchen and in the woods which help look after our native wildlife. 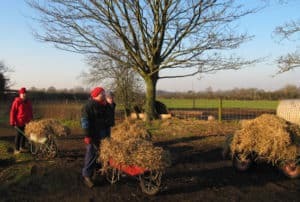 We look after the beds outside the tearoom and the yurts where people come to have a holiday. 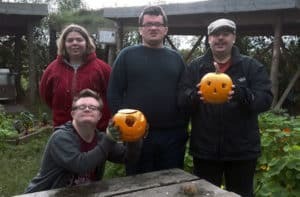 The group enjoy having volunteers such as I go out and share their activities and join in the fun. One of the favourite activities I like to join in is the singing, which keeps up everybody’s spirit even in the most inclement weather conditions. 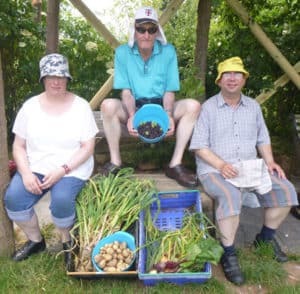 If you think you can spare a little time one day a week to help out our happy band of farmer/volunteers why not give us a call on 01630 638696.